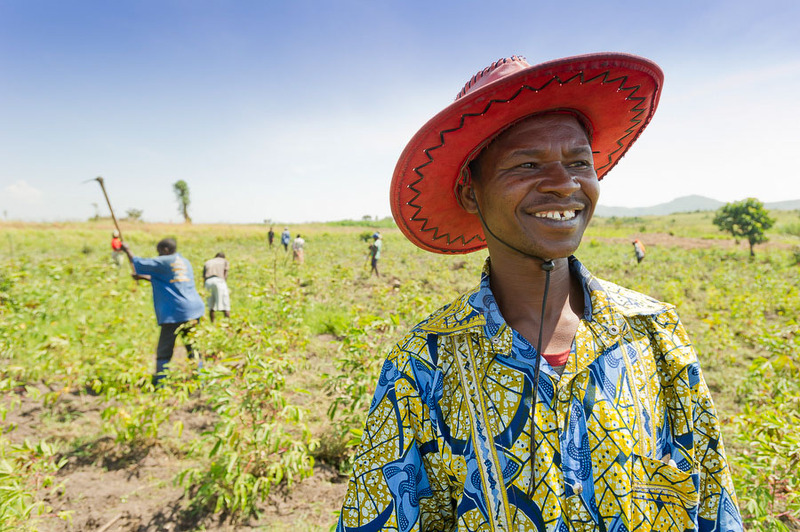 Behind Pastor Pirwoth, people who suffer from HIV-AIDS tend crops on a farm purchased by a collective of more than 20 local churches in the Democratic Republic of Congo (DRC). Created by Christian Association for the Fight Against Aids (ACLS), this project provides food, income, hope, dignity and community for 18 families who suffer from HIV. Often church members and friends volunteer on the farm, working alongside those who are weakened by the virus, and sharing their faith. Wycliffe’s partners in DRC have published a small booklet to educate people about the prevention of HIV in a format that is easy to understand. The booklet, based on Biblical principals, also nurtures literacy and serves language communities by addressing a practical need. Due in part to the Bible-based teachings in this booklet, churches have started talking about HIV-AIDS openly and initiating compassionate services such as this farming project. Pirwoth Ulul, a cheerful pastor who speaks several languages, committed his time and skills as an interpreter for the Wycliffe Canada journalism team and made it possible for this story to be told. Read the whole account in the latest issue of Wycliffe Canada’s magazine – Word Alive.